When I was elected in late 2016 as Mayor of Marion, I knew there were certain areas in which our town needed to improve. One was education and work preparedness for those who did not want to attend a four-year college. We had gaps that needed to be filled. As an Industrial Maintenance and Robotics Instructor at the Career Center in Greene County, I know what resources are available to assist those seeking a job or a skills education. When people come to the center, our team has a plethora of tests, assessments, job listings, resume-building sessions and other items at our disposal to help folks get the right position or training that matches their needs or abilities. As Mayor, I realized we needed to get educational tools to Marion residents, especially after Moller Tech announced that it would be locating in Bibb County, adjacent to Perry County, and bringing 222 jobs with it. But with a small town like Marion (population 3,432) not having a dedicated resource center, we didn’t quite know how to unite the two. Then one day, I attended a Central AlabamaWorks meeting and saw AIDT’s mobile unit, which is the Department of Commerce’s skills education center on wheels. I spoke with Mikki Ruttan, director of Central AlabamaWorks, after the meeting and asked her about the possibility of getting the unit to our area. I learned it could be customized for the needs of its audience. After numerous discussions with other local leaders, we selected basic resume building and a Ready-to-Work course as the initial offerings. I knew the mobile unit would be key in obtaining career readiness for the citizens of Marion. I also felt that our citizens would welcome the chance to improve their skills and knowledge base. After dozens of conversations, we got the mobile unit scheduled this past April. We posted and delivered flyers all over the city, announcing when and where the unit would be located, and we created a Facebook page. We had no idea what kind of response we would have for this type of educational opportunity. But, our citizens realized how such training could give them a leg up in the job market. As a result, they turned out in droves to learn more and better position themselves for entry into the job market, or to simply upgrade their skill set. With Gov. Kay Ivey’s Success Plus initiative rollout a few months ago, I knew we had to get our citizens more training to help them, and our state, reach the goal of 500,000 people with post-high-school credentials by 2025. The mobile training unit seemed like the perfect way to deliver those opportunities to our residents. After some discussion, we were able to get the unit at The Lincoln School. We focused the training on Ready-to-Work. The classes filled immediately, and a waiting list soon formed. Our people were eager to gain knowledge to improve their lives and that of their families. Once they completed the course, they received credentials as an Alabama Certified Worker; a Career Readiness certificate; a free three-credit-hour course at Wallace Community College Selma (if they had a high school diploma); three credits toward a high school diploma (if they didn’t have one); and a referral to the Selma Career Center for free certificates or degree information from WCC in welding, industrial maintenance, electrical technology or nursing. The unit has been so popular with our citizens that two classrooms are now being refurbished at The Lincoln School specifically for AIDT courses. This means we will have a permanent place for our people to get not only Ready-to-Work training, but also training in other much-needed professions offered by Wallace, such as cosmetology, carpentry, welding, automotive technician and others. The excitement continues to build for our city. In fact, AIDT has already completed one Ready-to-Work training with several graduates who have received employment. 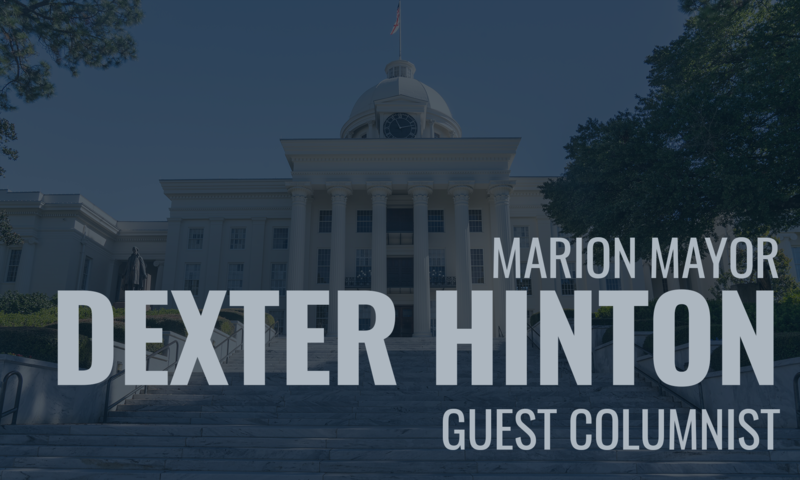 With the extra effort by Central AlabamaWorks, AIDT, the Career Centers and the Alabama Community College System – combined with the excitement and work ethic of our citizens – I know Marionites can and will be a valued part of the Success Plus endeavor. I look forward to seeing what our citizens can achieve for themselves, their families and our community.